Top Baltimore, MD Interior Design Firm - Before and After photos. Waterfront room, Inner Harbor penthouse, water closet. View gallery. A waterfront room that was neglected over time. Damaged flooring, broken chandelier and window treatments that needed help. A finished room reflecting the “Salon” of today’s times. Water gazing, reading, visiting friends by the fireplace surrounded by great art. A family room surrounded by the rest of the house. Beyond the walls was light, and the openness of the back of the house. A redefined space, with a comment on repetition. 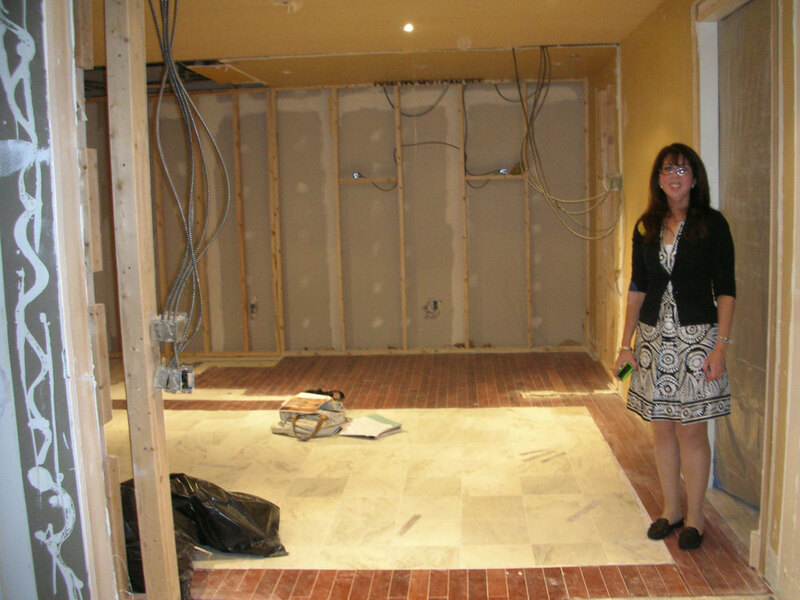 The arches, and columns with the recessed sconces allow us to see the revised kitchen beyond. 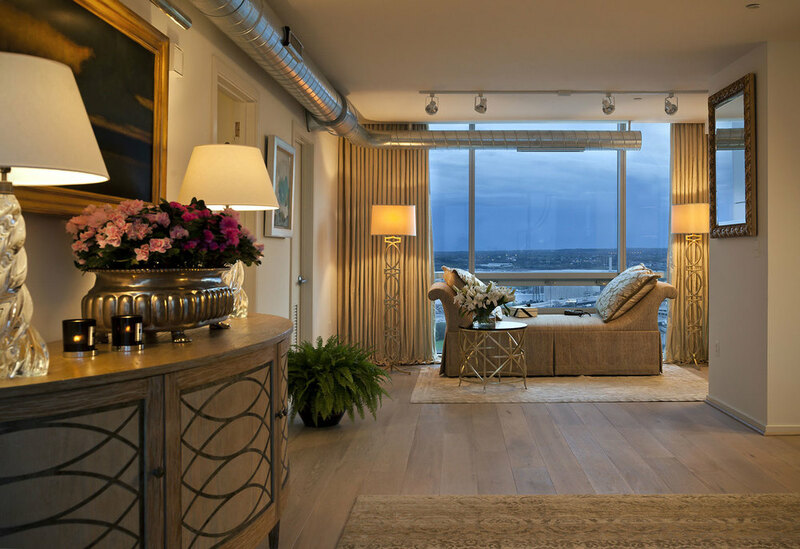 A typical new construction space – the owner’s bedroom of a penthouse on Baltimore’s Inner Harbor. A calming and approachable bedroom that embraces the views but softens the lines. Standard style of bathroom that wants more. A complement of pyramid shaped black lacquer cabinets and custom mirror, contrast the calming oil painting in the water closet. We had the challenge of taking a room in a windowless basement, two floors underground, and with careful lighting, and uniquely positioned mirrors behind custom shutters. We show what can be done on board a ship, in the center of a building or other spaces that don't always have the best attributes! A family room in the truest sense, complete with Nintendo, Wii and movies, of course. A view of a new condominium penthouse with things like a thermostat placed in the middle of a wall. A much warmer and gentle use of the space.